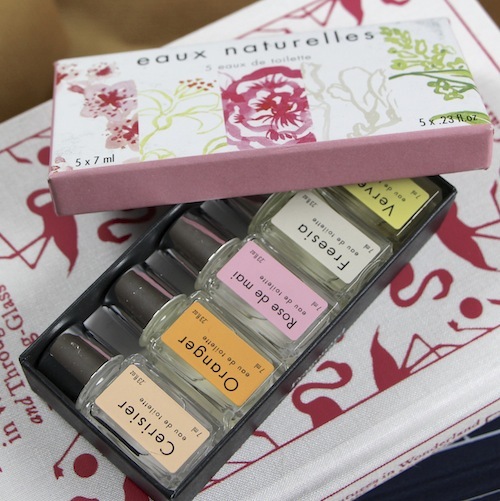 My favourite gift split this year has to be the Fragonard Eaux Naturelles set, pictured above. Each of these little bottles has a fresh, summery fragrance inside and I love the simple, chic labelling. It’s almost a shame to split the set up – if you want the whole thing, it’s £15, which I think is actually rather good! Find it here. 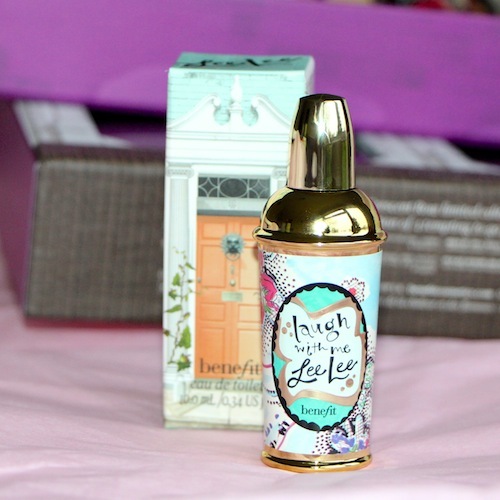 Benefit’s Crescent Row set contains four very sweet fragrance miniatures and the perk with this one is that each is individually boxed. Often you end up paying more, price-per-ml with these gift sets, but not in this case – you save around 25%. 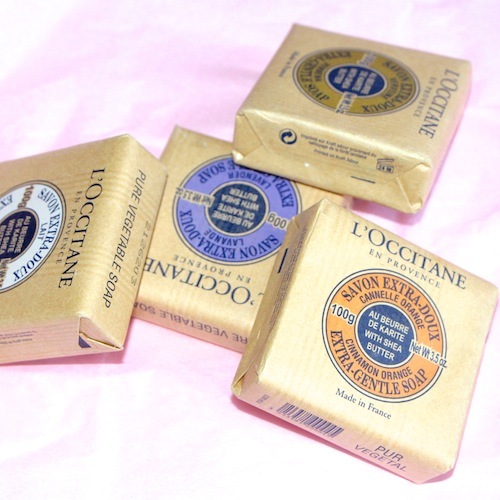 Lovely Shea soaps from l’Occitane, as featured in the Perfect Pretty Gift guide: £16 for four. Nice and rustic-looking, I think! 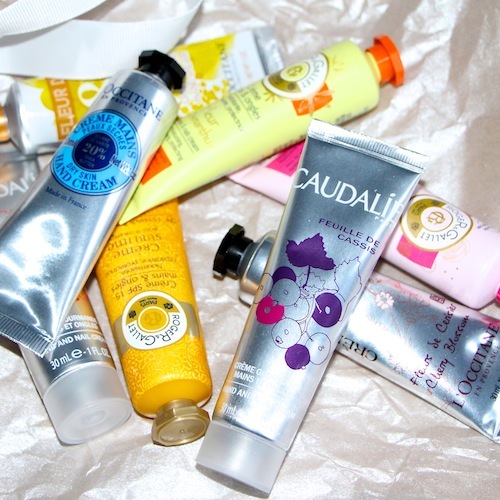 Find them at l’Occitane here. 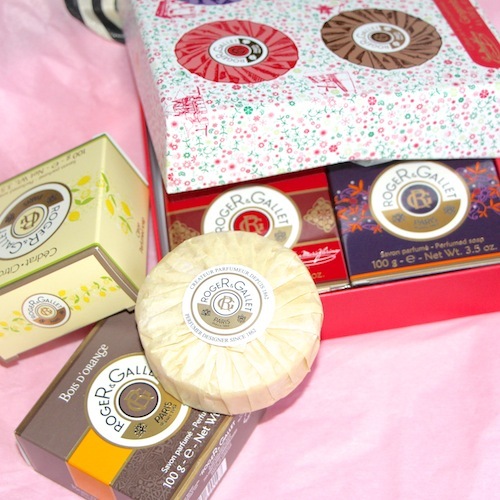 Lastly, these Roger & Gallet soaps look pretty old school, but they are so fragrant! They are overpowering my entire hallway at the moment, so much so that I may have to stick them into my underwear drawer to keep them contained! There are loads of different types on FeelUnique but my favourites (not shown) are the Fig ones. They cost £6 each or £13.50 for a set of three (kind of a “buy two get one free” situation, I suppose.) Find the fig ones here. Previous Post Amazing “Black Friday” Shopping Deals!